Chevy’s Sedan Delivery models occupy a place and time in automotive history that essentially ended in 1960 for these unique GM vehicles. 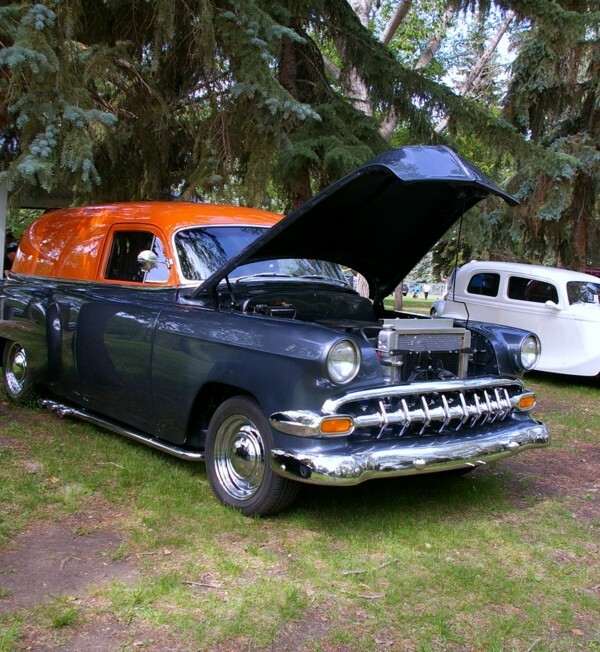 The Chevy Sedan Delivery was a practical hauler that provided a work or business vehicle for many owners during its production run. 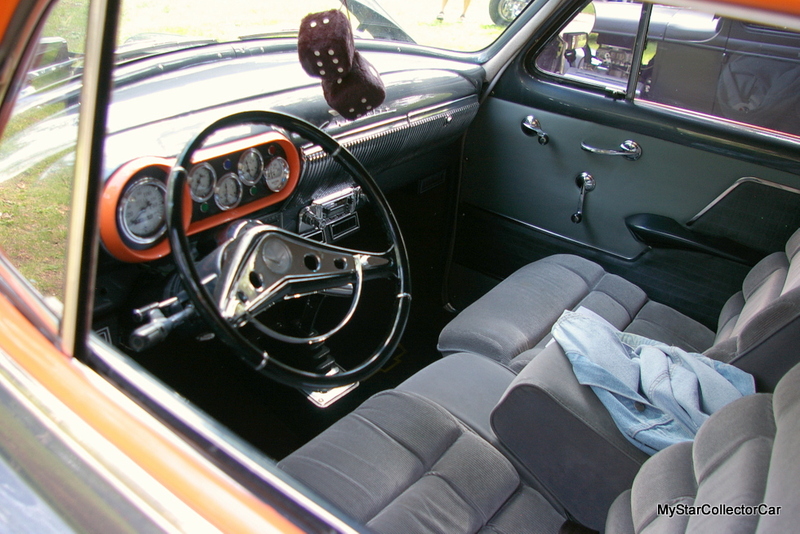 The Sedan Delivery was based upon a station wagon model that eliminated the rear seat and windows because this car was not built for sight-seeing purposes. The Sedan Delivery was built to deliver goods and services to customers during its heyday. Eventually the car models were replaced by truck models and vans built for the same purpose: hard work and goods transportation. However, the bigger vehicles could handle bigger jobs. 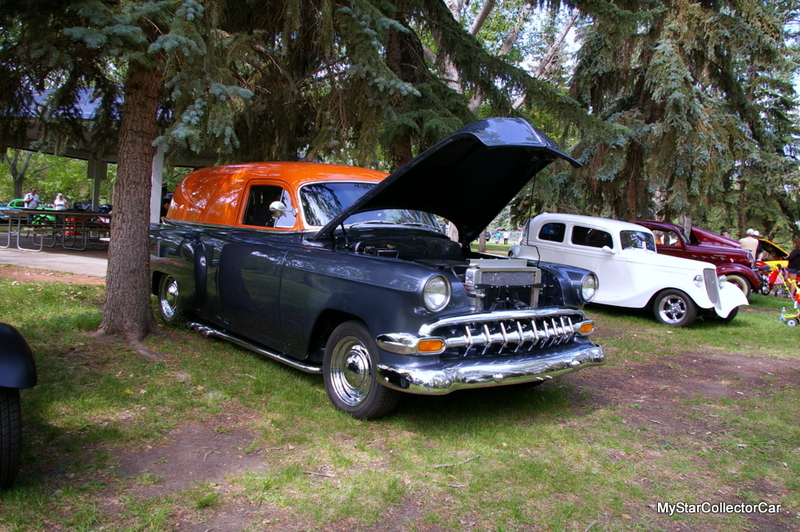 The Sedan Delivery models disappeared off the face of the planet over the year so a custom 1954 Chevy Sedan Delivery was the basis for an MSCC story. 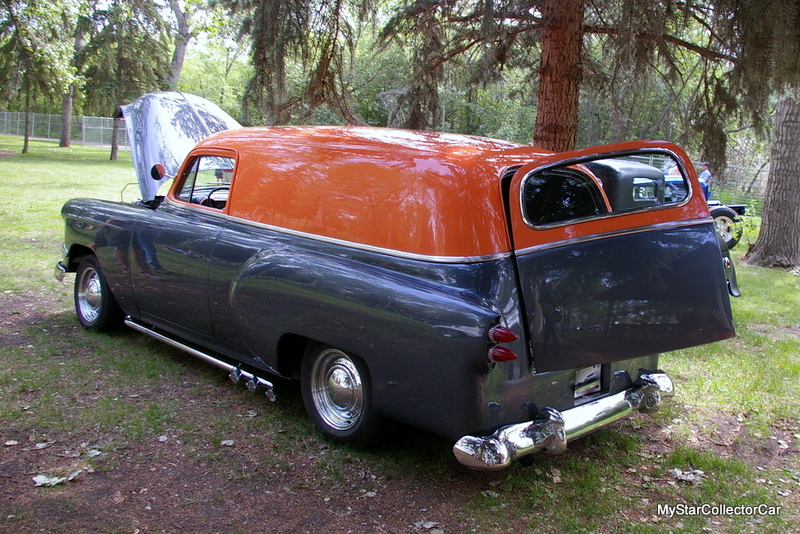 Owner Randall Ewasiuk provided the details for his custom build ’54 Sedan Delivery that started about 14 or 15 years ago, according to him. Randall’s custom ride has undergone some significant changes because of his hard work. Randall is an old school car guy who was able to purchase donor parts and vehicles to transform his Sedan Delivery into one of the coolest resto mods in his area. 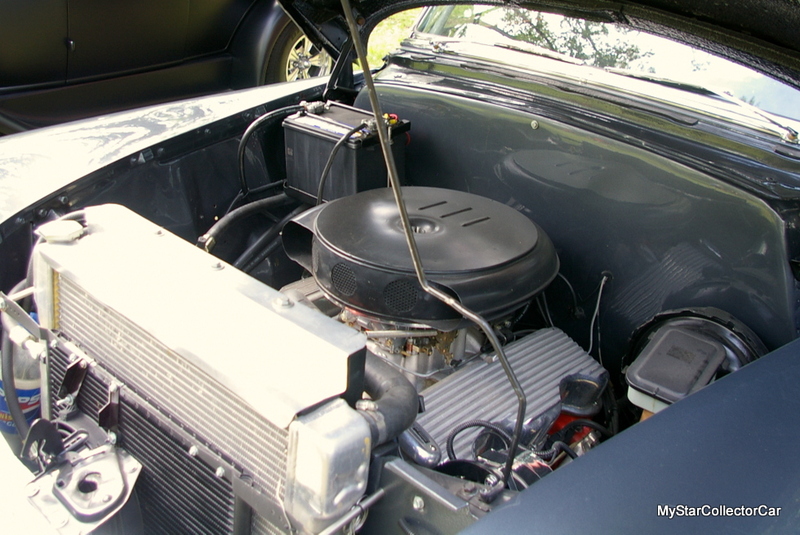 The engine in his Sedan Delivery went from its original straight six to the famous 409 engine that became a fixture in the hot rod scene and Beach Boy songs during a bygone era. The engine is hooked up to an automatic 700-R4 transmission donated by a 1982 Chevy Caprice police car that also provided a rear end for Randall’s Sedan Delivery. 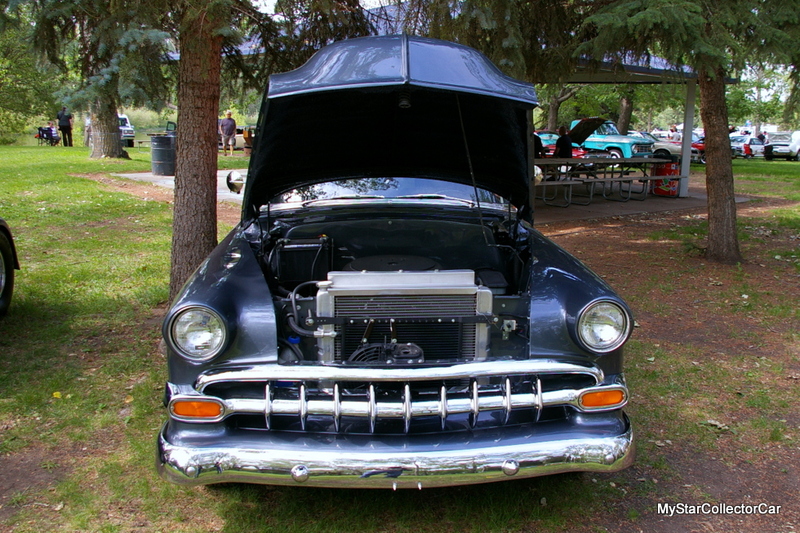 The entire power train was rebuilt from engine to rear end because Randall wanted to ensure he would have a fresh and trouble-free drive train combination in his project. 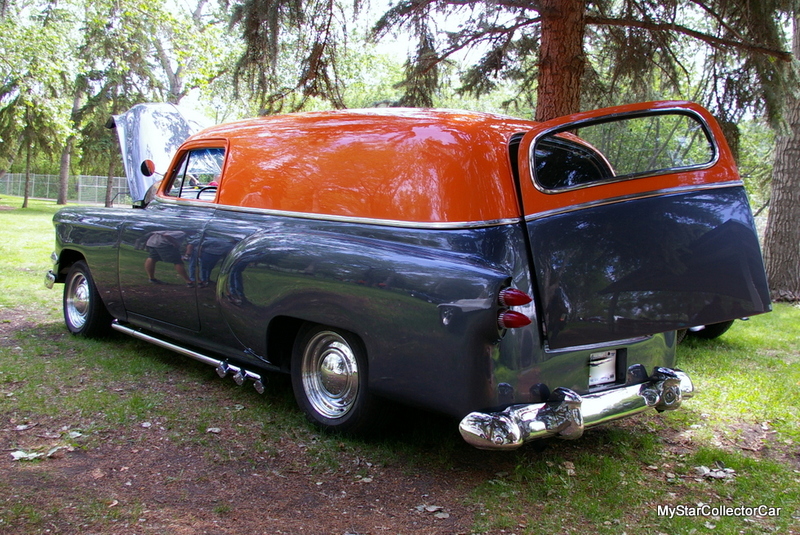 He also described his power train as a heavy duty set-up because Randall wanted to have peace of mind when he drove his Sedan Delivery after its completion. The custom Chevy also has an air ride suspension but Randall may go to a more conventional suspension in the future. Randall wants more stability in the ride and believes he can transform his Sedan Delivery into a better road beast with an upgraded non-air suspension. Nevertheless, the Sedan Delivery can handle the open road like a trooper in its current mode and Randall “built it to drive it”, in his words. 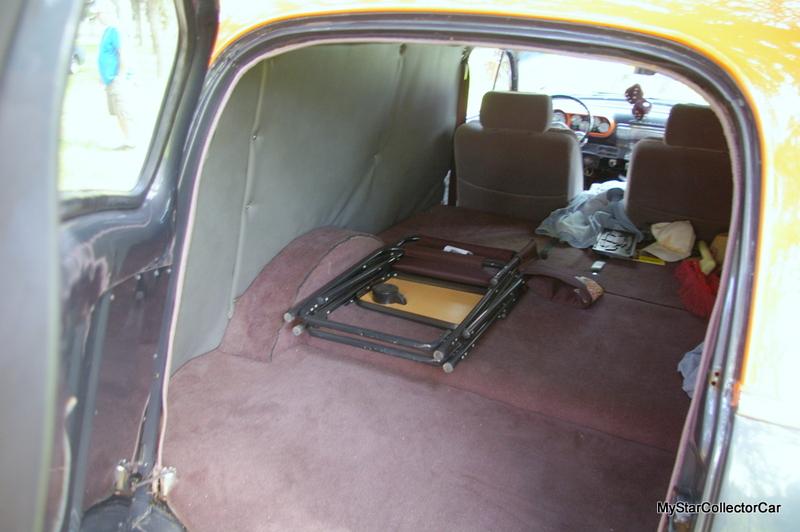 Randall added some creature comforts to his build, including a 60/40 bench seat from another 1982 Chevy Caprice that was previously owned by his wife’s mother. The Sedan Delivery also has aftermarket electric wipers that replaced the original vacuum wipers that stopped whenever the car was under heavy acceleration. 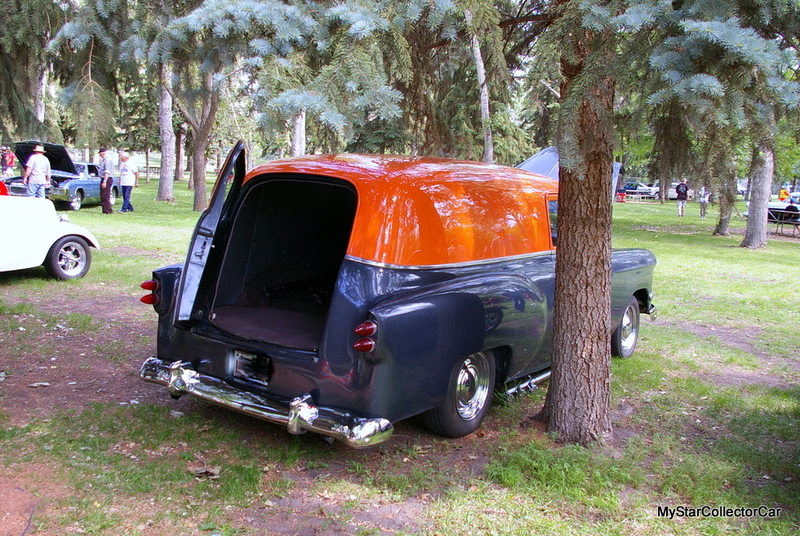 Randall’s Sedan Delivery also has a unique two tone paint job and Caddy tail lights that give the car a very cool custom look. 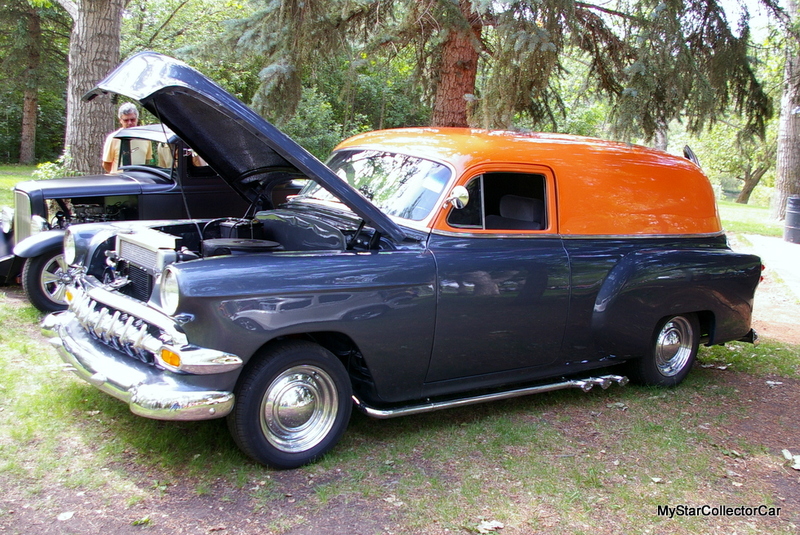 Randall noted his 1954 Chevy Sedan Delivery has been “up and running for the past four years” and it’s obvious he has enjoyed every minute of that time frame.